Lake Forest Park Presbyterian Church invites you an interactive Holy Week experience. Walk through moments of Christ's last week on earth contemplating his struggles and how we fit into his inevitable death on the Cross. Make room in your week to come and hear from God as you contemplate the gift of His Son given for you! 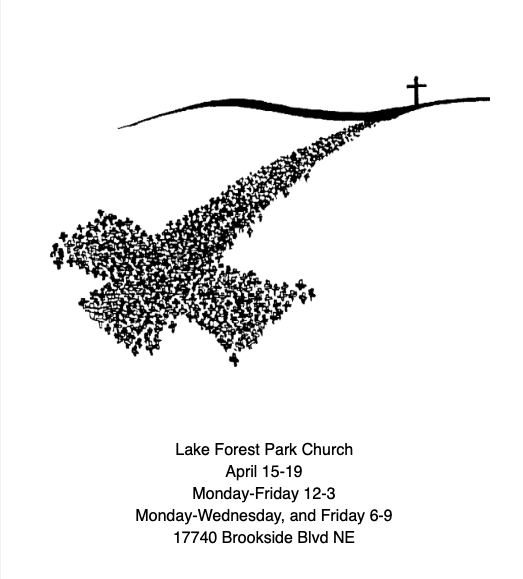 The church is located at 17740 Brookside Blvd NE, Lake Forest Park 98155.